However, hidden in North Eastern Italy, smack dab between Venice and Verona, lay the Lessini hills. 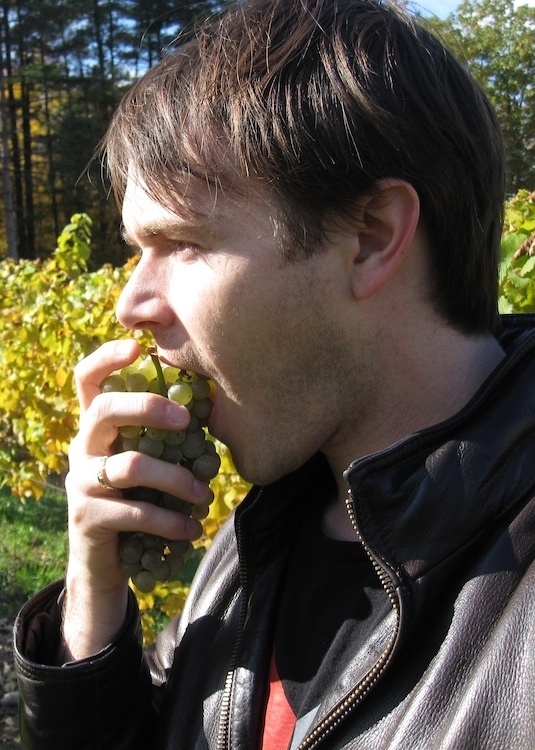 Here an ancient grape called Durello thrives. The name may come from its thick skins, or high acid. It may be native. Either way, it loves the volcanic soil. basalt. Elevations are high. Thus Lessini Durello has its own DOC. Azienda Marcato makes many wines there. But one ended up in a discount bin for $10. It is part of their iPrandi range of young, approachable wines: of questionable marketing relation to the iPod. 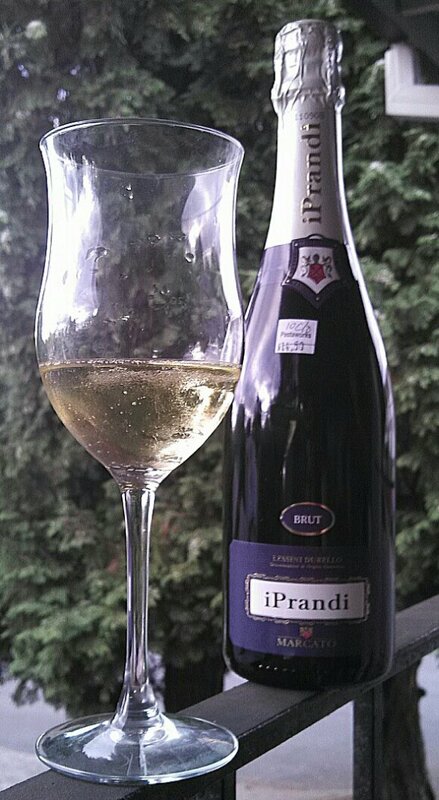 This Brut consists of 85% Durello, 10% Chardonnay and 5% Pinot Nero. Its fizz comes from the charmant (tank) method: used for Prosecco and other (read cheaper) bubbly, because, well, fermenting in each bottle like Champagne costs money, time, and labor. It sees complete malolactic fermentation. However, Marcato has the patience to age the wine on its lees (sediment) for eight months, which adds richness and complexity. Durello’s thick skins provide a moderate golden sheen that shimmers evenly to the edge of the rim. The fizz is small, typical of lower CO2 charmant method, but lasts a decent amount of time. Average levels of honey, almond flowers, chamomile, and a hint of black mineral (thank you lees!). Although Brut, the 9 grams of sugar per liter help balance the stark, zippy acid. Alcohol is a moderate 12%. The body is there. Light mild lemonade, chamomile, biscuits or mild sourdough fill out the center, with a flint-like mineral tweak. Young, not completely ripe strawberries (probably the Pinot Nero) jump out at the medium length finish. Marcato iPrandi’s quality is good (3 of 5). This is a pleasant fizz for most occasions that is complex enough and rare enough, yet equally crowd-pleasing to be well worth $10 to $15. Drink young. FYI: after two bottles, its composite natural cork is a beast to drag out. Use champagne pliers, anger, a towel, or a cork screw. This entry was posted in Durello, EMPTIED BOTTLES, Sparkling and tagged Anxiety, Blind experiment, Chamomile, Cooking, durello, Durello grape, Home, iPod, iPrandi, italy, Lambrusco, Lessini Durello, Marcato, Matricaria chamomilla, Perelman School of Medicine, pinot noir, Placebo-controlled study, Prosecco, Relaxation technique, Shopping, Sotheby, Sparkling wine, Veneto, Venice, wine, Xarel·lo. Bookmark the permalink.